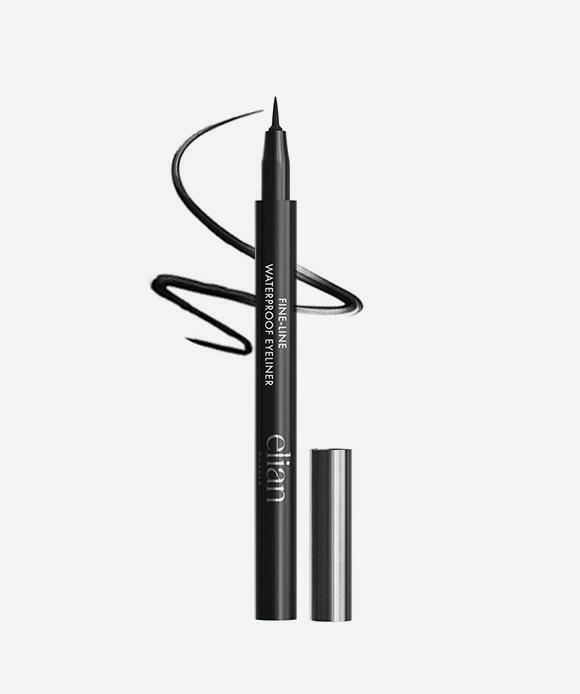 Fine-line Waterproof Eyeliner is a thin pen with a flexible fine felt tip for drawing the finest lines and achieving perfect definition. It glides along the lash line without tugging or skipping. The highly pigmented blackest-black formula provides a long-lasting satin-matte finish in just one stroke.